Stephen Baumberg’s Whistler origin story sounds very familiar. It didn’t hurt that those family friends were a couple of national team snowboarders, or that his neighbour was one of Whistler’s best DJs, but Stephen quickly found his niche. 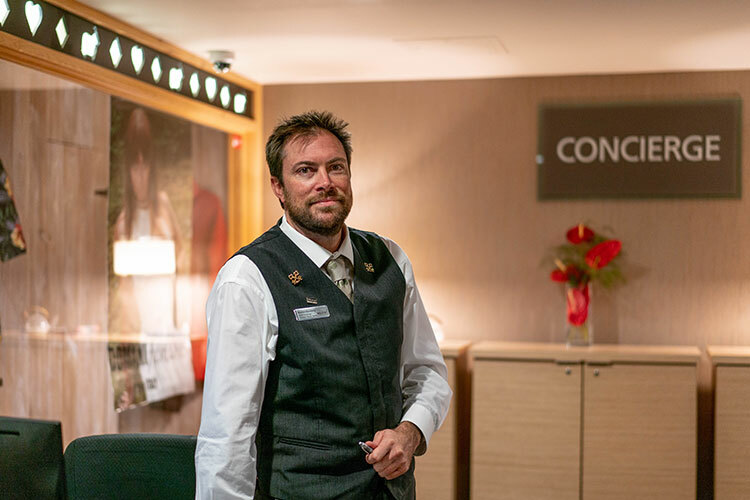 Working at the Westin Whistler Resort & Spa for the past 17 years, Stephen is one of Whistler’s most celebrated concierges and a member of Les Clefs d’Or, a super prestigious organization of the world’s best concierges. 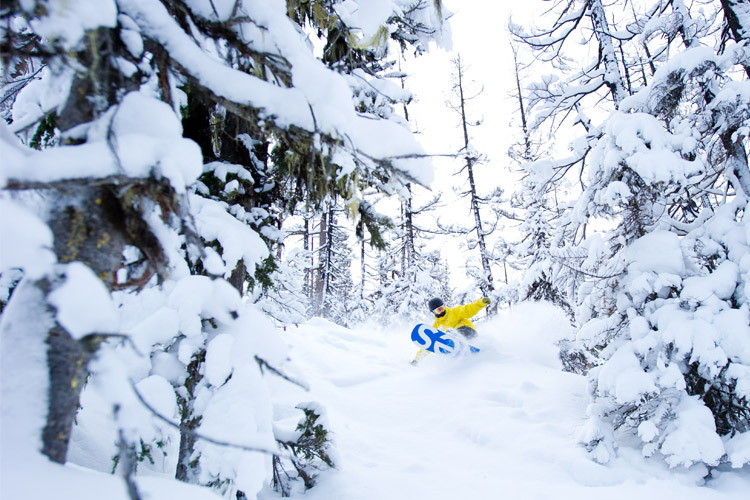 So with the holiday season on the horizon, The Insider hooked up with Stephen to learn a few tips on how to prepare for your Whistler winter holiday, long before you arrive. Take it away Sir! Everybody has to book ahead. Especially for dinner reservations, especially if you are a large group, and especially-especially over the holidays. Really, you want to get on that as soon as you possibly can. As more families come to town those early dinner time slots fill up quicker than ever. And in the winter, everything starts and stops with the mountain. People come down from skiing, they want to change and feed the kids. 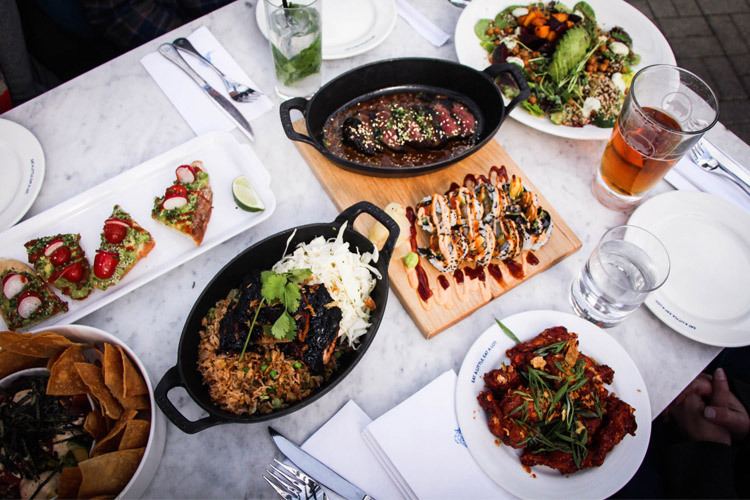 There is a fine list of Whistler eating establishments, reviews, and their contact info over on Whistler.com. For more advice on festive dining check out this blog post on how to avoid getting “hangry”. It’s the same as dinner – book as early as you can. If you’re expecting to just roll up and throw the kids in lessons in between Christmas and New Year’s you might be in for a surprise. Private lessons are a great way to go if you can afford it but I think the best value is the ‘Ski with an Olympian’ program. It’s like a private lesson but your guide is someone who has spent their whole life here and knows the town, mountains and culture better than anyone. If you need to get a jump on those lessons let the Whistler.com team help you out. The Dave Murray Downhill is easily the best cruising run on either mountain. Hit that run in good conditions, top to bottom, and it doesn’t get any better. For pow, if you can get into the Peak Chair line up early and get untracked turns down Shale Slope, like the first 20 people in, that is like a heli lap. No, it’s better than a heli lap because its steeper and you can slay pow while the whole chair line watches from below. 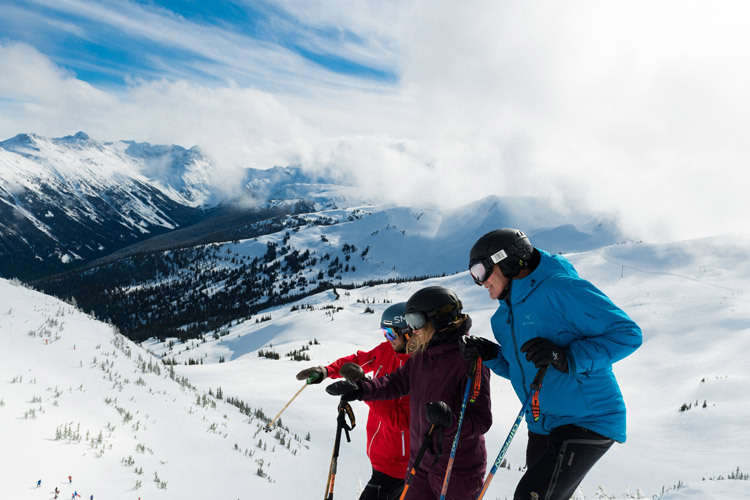 Beginning on December 15, 2018 Whistler Blackcomb offers free mountain tours that meet daily at 11:15 AM (departing 11:30 AM) at the top of both mountains. 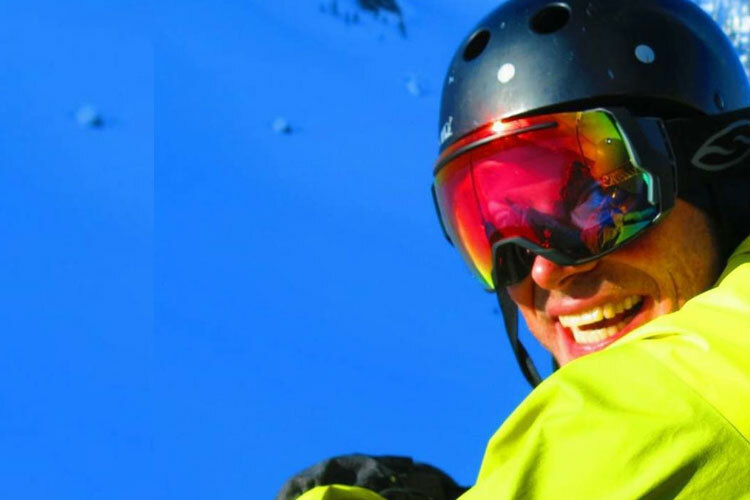 These tours are a great way to orientate yourself and get some more local slope-based tips. The most unique stuff happening right now is with Head-Line Mountain Holidays—they have incredible ice cave tours but also snowmobiles, helicopters, even a submarine. But really, anything that gets you out into the wilderness is a good bet. Snowshoeing or dog sledding are good, kids love the dog sledding. The idea is to escape out into the wild, get out there where it is so insanely quiet and wild, with mounds of snow everywhere. Most people have never seen anything like it. 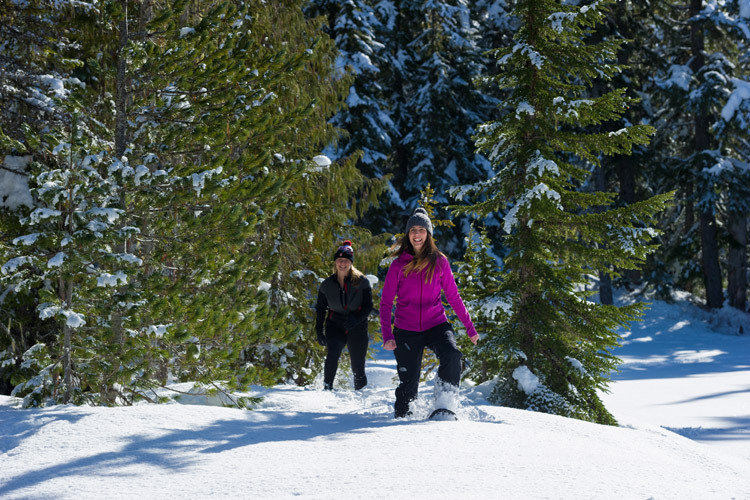 Have a look at all the winter activities Whistler has to offer here. If you are staying in the Village all you really need is the old ‘heel-toe express’—you can walk almost anywhere. You might need to buy better footwear when you arrive—high heels are tough in a snowstorm—but walking is the best. The transit system is good, some of the hotels have their own shuttles, and there are lots of cabs – but make sure you give yourself enough time ordering one. Take a look at this page on Whistler.com for some more info on getting around town. If the weather is not great on the mountain you might want to find something to entertain the kids. Over the holidays the Whistler Holiday Experience in the Conference Centre is great – kids love bouncy castles. 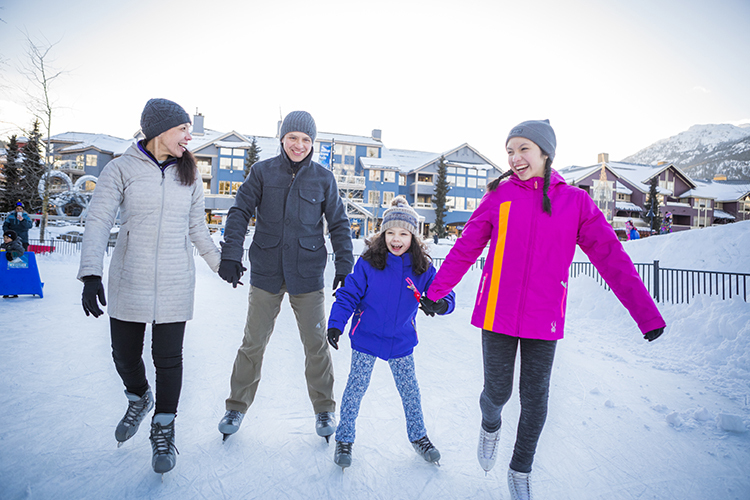 There’s also Family Après over at the Olympic Plaza on Sundays and Wednesdays. Otherwise, Village 8 Cinemas is great, the rooms at Escape! Whistler, story time at Whistler Public Library for really young kids, or the climbing wall at the Core. 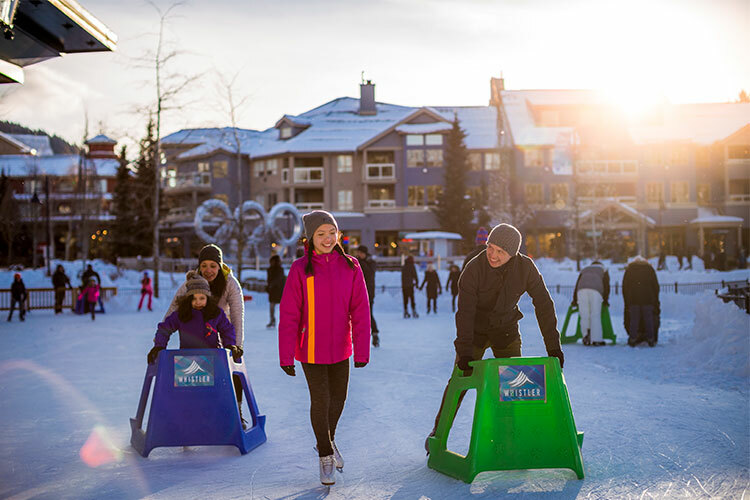 For more on what to do with the kids over winter in Whistler take a look here. The good news is it hasn’t really changed in 20 years. 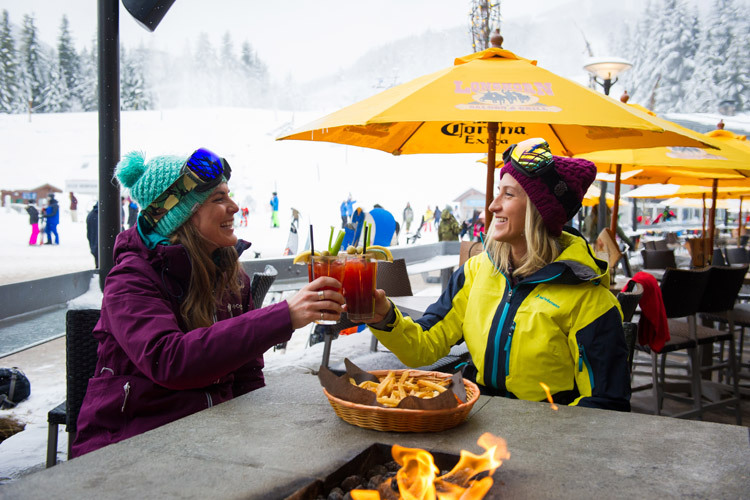 The best après spots are right at the bottom of the hill and there are lots of options. For a bit of a more high-end après The Bearfoot Bistro has oysters and fondue then you can dip into the Vodka ice room if you want. They also do DJs on Saturday nights too. 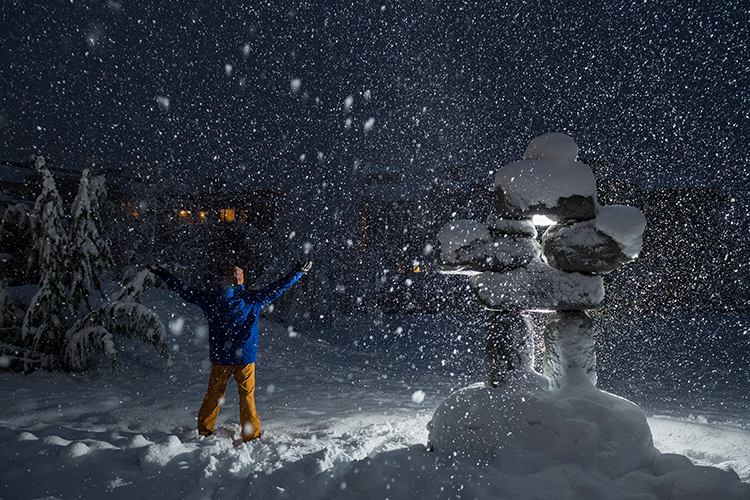 Whistler nightlife is good all the time. Ask around, check the event calendar on Whistler.com or in the Pique NewsMagazine if you want live music – but it’s hard not to find a solid après spot in this place. Anyone older than 30 probably wants to go to Buffalo Bills because the music might be too young at the other clubs, the audience too. But Brandy’s is open to 2 AM, they have good food, a DJ on weekends and it always kicks. 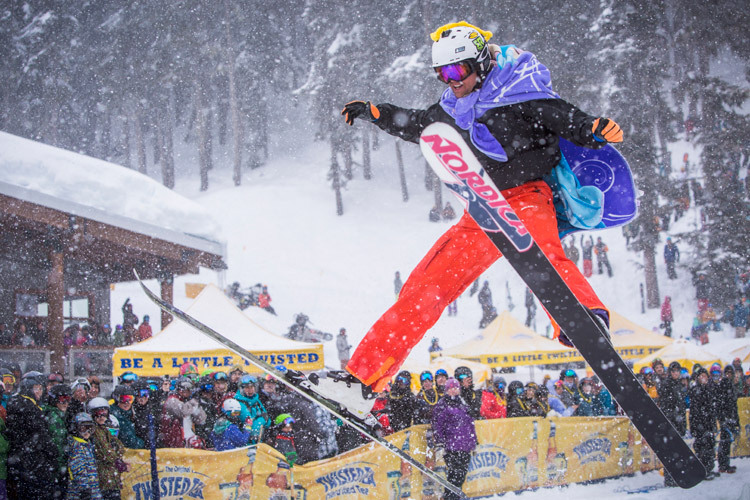 For the younger crowd it’s hard to beat the World Ski & Snowboard festival in April. That’s endless fun. But for families I think mid-to-late March is the sweet spot. The mountains are really filled in with snow, the Treefort and Magic Castle on-hill attractions are hopping, same with the tube park, and the days are a bit longer, so you have more time to play. And there you have it, wise words from the mouth of a hospitality legend. Thank you, Stephen! Here’s to another great winter! 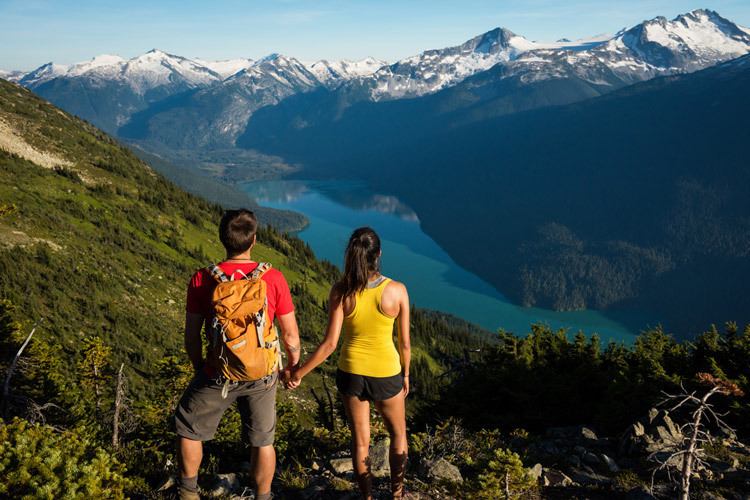 Find out everything else you ever wanted to know about Whistler at Whistler.com.